Andrea Penrose is a pseudonym for an author who has also written as Cara Elliott for Grand Central and Andrea Pickens for NAL. Her historical mysteries and romantic novels are set in Regency England, an era that has fascinated her ever since she picked up a copy of Jane Austen's Pride and Prejudice. 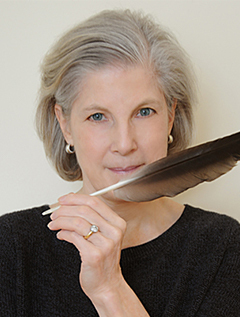 A graduate of Yale, she has won numerous writing awards, including two Daphne Du Maurier Awards for historical mystery, the Golden Leaf, and she’s been a three-time finalist for the prestigious RITA Award. Her books have been translated into nine different languages.